Recent economic turmoil in Venezuela has resulted in a massive devaluing of currency and an increase in violence and unrest in the city. And yet the Merida sangha is extremely resilient. There are 22 Mitras, and 15 of them have asked for Ordination. Going on retreat has been impossible. 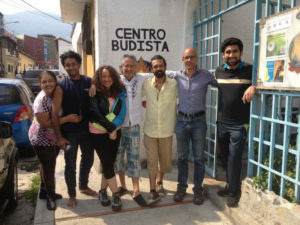 The nearest Triratna retreat centre is in Mexico, at the end of a flight no-one can afford to buy. These 15 potential Order members have had no way of undertaking their training. 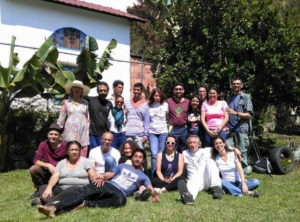 Thanks to the strength of Kalyana Mitrata and gifts to FutureDharma Fund, Mitras in Venezuela are benefitting from this rich programme of retreats, which has so far included studying the System of Practice and Mitra study on ‘What is the Sangha?’, as well as talks on William Blake. This is just one of the dozens of achievable and delightful projects waiting in the wings. Join us in making many more of them happen!